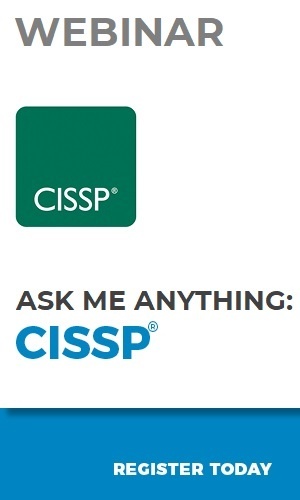 Studying for the CISSP® exam? What's the process of getting my CISSP? What is ABAC? Is only getting 100 questions a good sign or a bad sign? Can I take breaks during the test? Do I really have to memorize the strong star property rule? If you're studying for the CISSP exam or thinking about starting, you've probably asked yourself these questions (and many more!) Register for this webinar to watch one of CyberVista's resident CISSP experts answer CISSP-related questions! Remember, CyberVista's CISSP training course includes the world's only practice CAT exam! CyberVista is a premium cybersecurity training and workforce development company. Our comprehensive suite of tools is carefully created using a combination of learning science, technology, and awesome instructors. Simply put, we deliver cyber training. Reinvented.